As your advocate in the real estate market, I will work hard to achieve your goals. I became a licensed realtor in 1991, and a licensed broker in 1997, I hold a GRI (graduate of the realtor institute) designation and continue my dedication to education year after year. Putting your family first is my #1 priority! Find out what is going on in the market today! Any questions? Contact me for all your Real Estate needs! 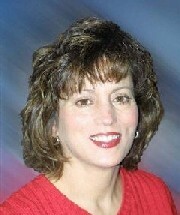 "Our Real Estate experience with Debbie Wargo was all we could hope for. With Debbie's knowledge she was able to tell us exactly what to expect in todays market. Our house sold within a week and we got what Debbie told us to expect. The Girl knows real estate from top to bottom. The best real estate experience we have ever had."